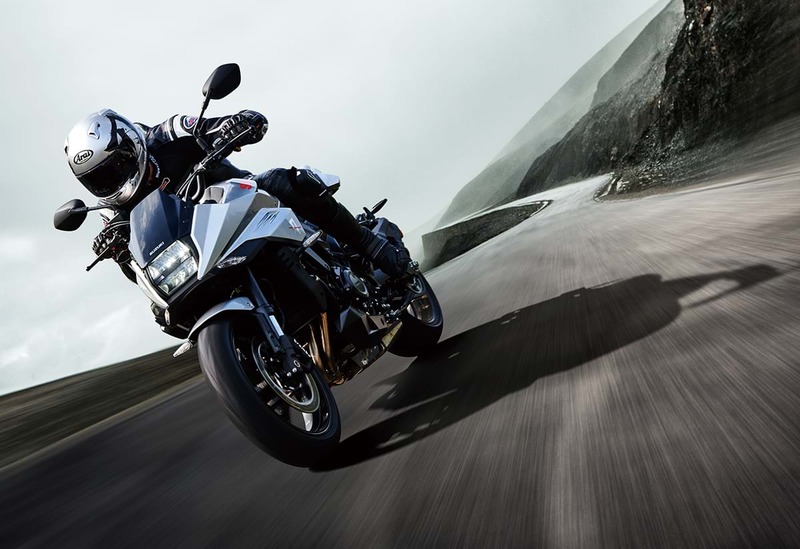 Categories NEW Suzuki (Ballymena & Hillsborough) 2019 Suzuki Katana announced! The original Katana has maintained a legendary status since its launch in 1981, with a design that remains as impactful now as it did then. It influenced the styling of the 2005 Stratosphere concept and more recently the Katana 3.0 concept, which debuted at the EICMA International Motorcycle Show in 2017. With styling cues from the original machine and the latest concept, the new Katana moves the design into the modern era, with its contours and lines inspired by the strokes of the hand crafted Japanese Katana sword. The positive riding position, enhanced by one-piece handlebars, sees riders nestled behind a fuel tank and top fairing that are also immediately recognisable as Katana, boasting retro appeal but with a modern twist. Classic red Suzuki lettering adorns the tank and mimics the original but follows sleek new lines, while the fairing also takes the machine’s original angles and exaggerates them for a purposeful-looking front end. The bike is finished in the classic silver. The immediately recognisable rectangular headlight is updated with stacked LED lights, as new LED running lights are adopted to accentuate the bike’s sharp face. At the back LED tail lights sit in an angular seat unit, immediately eye-catching thanks to the repositioning of the number plate hanger, which now extends from the swingarm and hugs the rear tyre. It also houses the indicators, with the whole design further highlighting the clean look of the tail section, atop which sits a one-piece seat that further pays homage to the original Katana in its design. Seat height is 825mm. Despite drawing inspiration from an ‘80s legend, the new Katana is underpinned by thoroughly modern engineering. The frame is the same lightweight, twin-spar aluminium frame that is specific to the popular GSX-S1000 series, designed for nimble handling and superior road-holding performance. Power comes from the famed inline four-cylinder engine that began life in another noteworthly Suzuki - the GSX-R1000 K5, but heavily revised and modernised for street-based performance. Renowned for its torque and midrange as well as top-end power, the 999cc engine uses a long-stroke design (73.4mm x 59.0mm) for a broad spread of power across the rev range, with peak power output of 150hp at 10,000rpm, and peak torque of 108Nm at 9,500rpm. 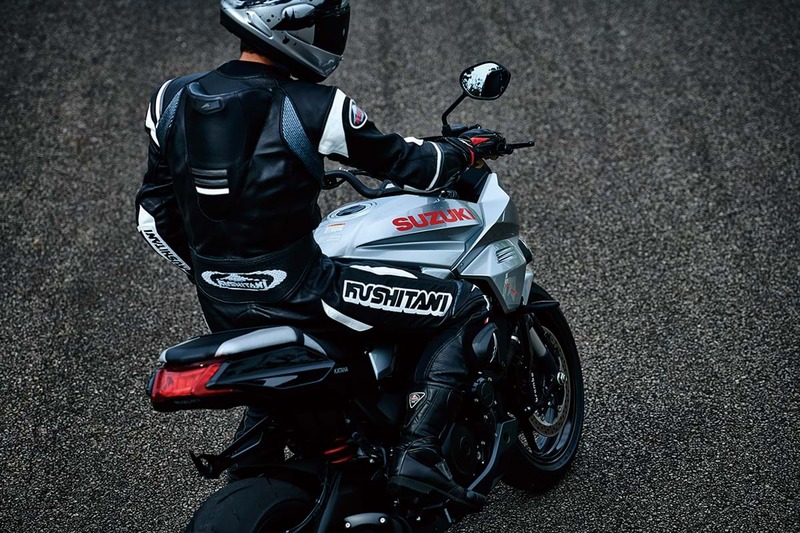 A three-mode traction control system, that can be turned off, allows riders to exploit the bike’s performance in various road and weather conditions. The system continuously monitors front and rear wheel speeds, throttle position, crank position and gear position sensor. It quickly reduces engine output when wheelspin is detected by adjusting ignition timing and air delivery. This helps ensure smoother traction control operation and less-noticeable intervention. 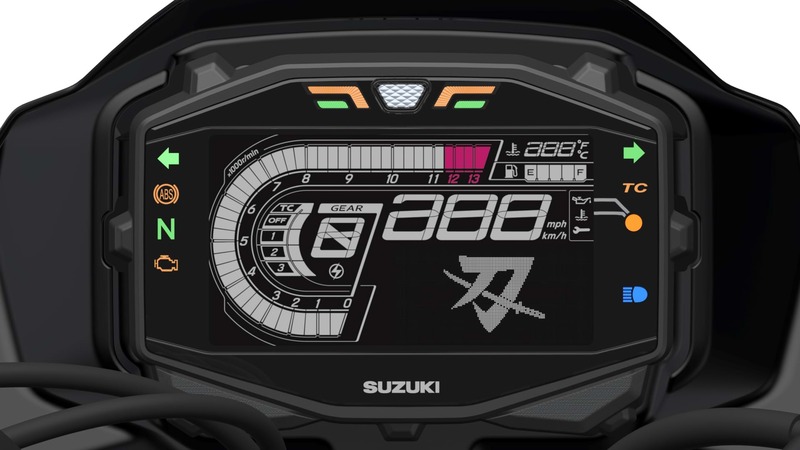 Riders can quickly and easily identify their current traction control setting on a new LCD dash, which also shows tacho, odo, trip meters, gear position, water temperature, fuel range, average fuel consumption, instant fuel consumption, fuel gauge, clock, lap time and battery voltage. Suzuki will be displaying the new Katana for its UK debut at the Motorcycle Live Show, NEC, Birmingham in November and it is expected to arrive in UK dealerships in Spring 2019.